Two scientists in England have recently done work to study and reconstruct the genome of whatever the very first animal was, though it lived over 600 million years ago. All animals currently on earth (including us) stemmed from this very first animal, and those genes remain in animals; 55% of human genomes that are present in us now were present in that animal all those years ago. 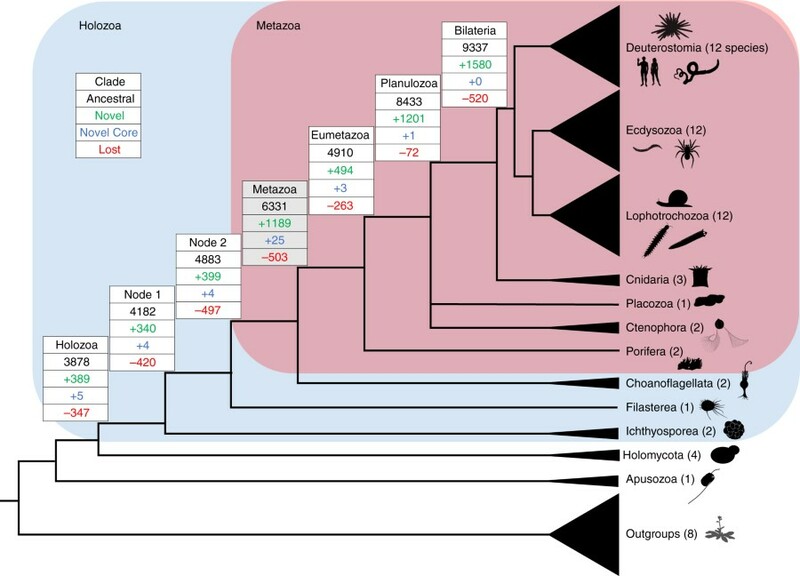 65 species were studied closely during this testing in order to determine how and if we are all related by means of this mysterious creature, and the construction of an animal family tree has enabled these scientists to put together ways that we are believed to be connected with each other and with the very first animal. This article is incredibly interesting and some of the findings are remarkable. Though they studied 65 of the millions of species on earth, they found that we are most closely genetically related to starfish of invertebrates (though we are of course in the vertebrate category). I’m not sure why I never really thought of this possibility before, but I really like the thought that all species on earth, no matter how different, likely share at least some type of gene that link us together. To me, it makes it even more dire that the human race be more conscious of how we treat our environment and the other animals who inhibit it.